As leaves start to fall and the air grows noticeably crisp, many of us are retreating indoors to the comfort of our homes. If your house is in need of an upgrade, now is a good time to start looking at renovation solutions to add warmth and comfort. The following are a few easy ways to boost value and add cosy style at the same time. If you’re looking for a basic way to renovate the look and feel of a room, you might want to look down first. Stripped down, hardwood floors are effortlessly stylish and in high demand these days. They can be accented with throw rugs to keep feet warm, or they can also be engineered to provide warmth with under-floor heating systems. 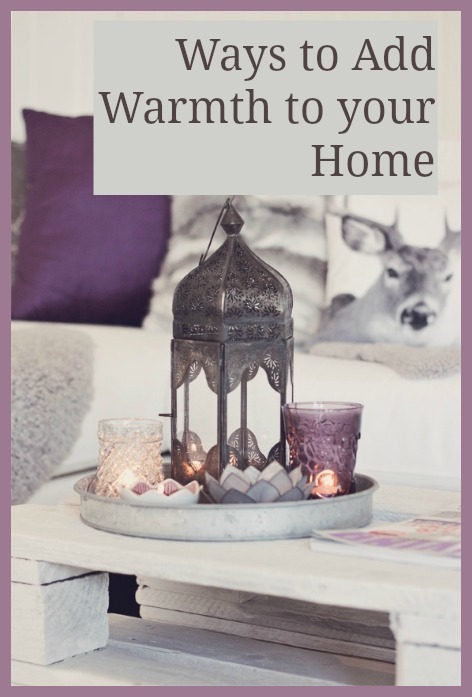 Adding in elements like fire and water can give your home a bit of dramatic flair, and there’s nothing like snuggling up next to a fireplace on a winter’s evening. Fireplaces are available at a wide range of different price points from many stores selling furniture, making them an affordable renovation option to spruce up your living space. Stonework can be used to give a full fireplace and chimney a rustic look, while electric fireplaces provide all the warmth at a lower price point. Don’t neglect your outdoor areas, even as the months grow colder. An outdoor fire pit or hanging heat lamps can keep your patio area feeling cosy for entertaining or relaxing in the brisk fresh air. One decorative trend that’s on the rise is the use of vintage, retro outdoor furniture. Antique flourishes like a sleek, mod end table or bohemian hanging plants can give your outdoor space a real kick. Before you sell antiques that have been lingering in the attic, why not see if they’ll be better suited to your outdoor space? If your home is looking a little spare, an instant way to add warmth is through the use of decorative fabrics, blankets, and curtains. You can remodel the look and feel of a room by adding in plush carpeting and dramatic drapery, while even a basic throw rug will help insulate the property. Finally, you’ll want to seal up any cracks and eliminate drafts from your home, whether you’re building a whole new room or simply renovating your existing space. With a bit of remodelling, your home will be in top shape for winter.